You are currently viewing Archived reports for the week of 6 April-12 April 2016. 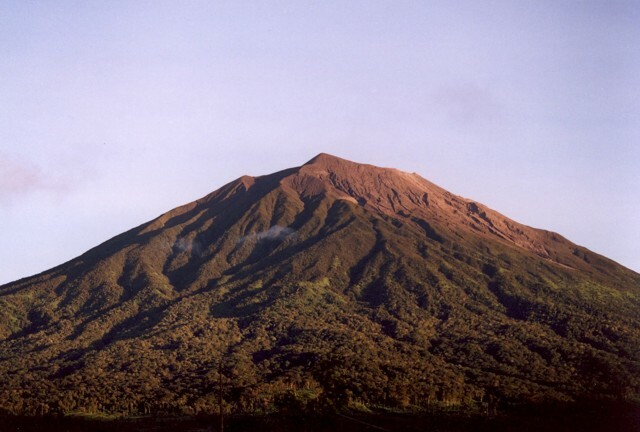 Based on a pilot observation and reports from PVMBG, the Darwin VAAC reported that on 10 April ash plumes from Kerinci rose to altitudes of 4-4.3 km (13,000-14,000 ft) a.s.l. 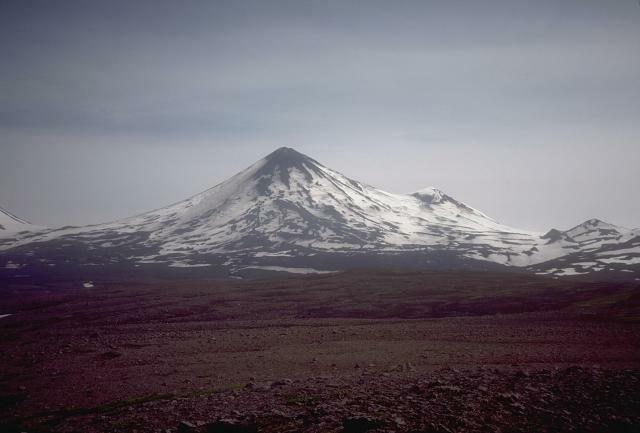 and drifted NE and E.
KVERT reported that Strombolian explosions and gas-and-steam emission continued to be observed at Klyuchevskoy during 3-8 April. Satellite images showed a thermal anomaly during 1 and 5-7 April. The Aviation Color Code remained at Yellow. 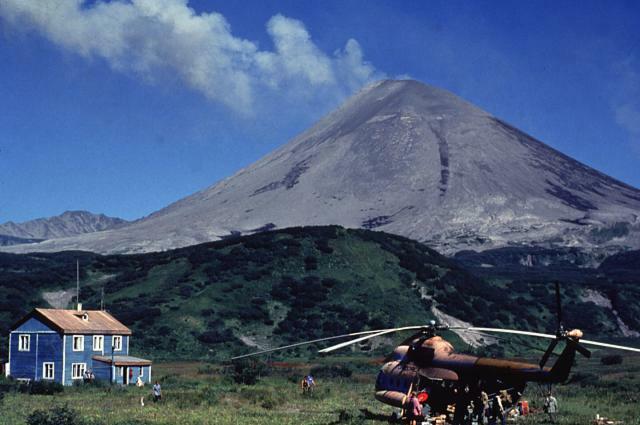 Based on analyses of satellite imagery, the Darwin VAAC reported that during 6-7 April ash plumes from Langila rose to an altitude of 3 km (10,000 ft) a.s.l. 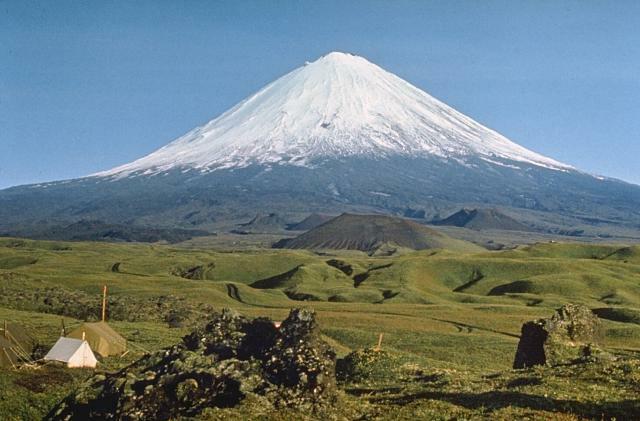 and drifted 55 km NE and E.
On 6 April AVO stated that the eruption at Pavlof had ended; during the previous week satellite images indicated no signs of ash emissions or lava effusion, and seismicity was at low levels. 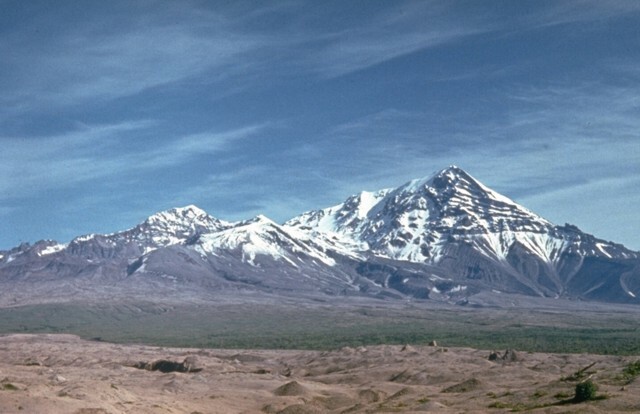 Thermal anomalies at the summit were occasionally visible though likely indicating cooling processes of previously erupted lava. AVO lowered the Aviation Color Code to Yellow and Volcano Alert Level to Advisory. 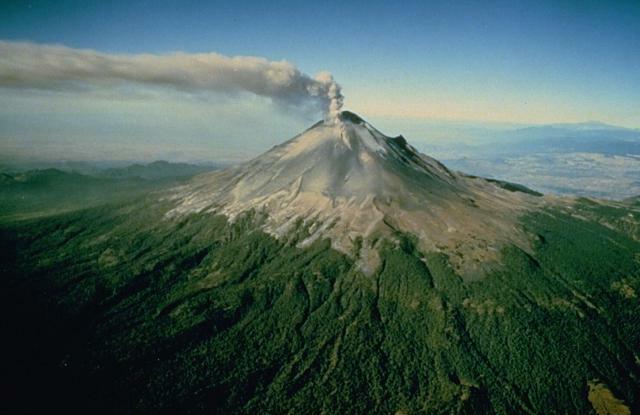 During 6-12 April there were 38-136 emissions from Popocatépetl and as many as six explosions detected daily; some emissions corresponded with increased crater incandescence. Periods of low-amplitude harmonic tremor were detected during 6-8 April. 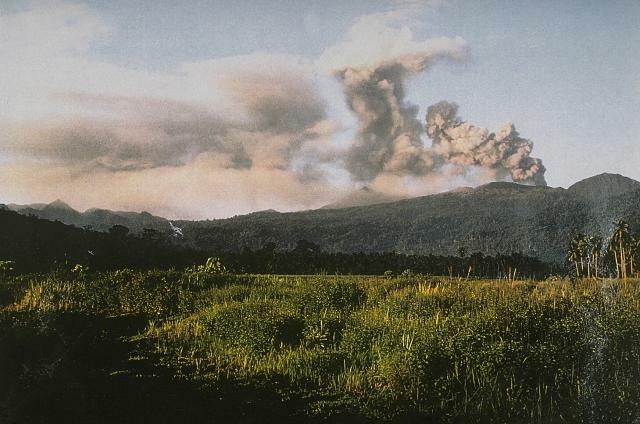 An explosion at 0111 on 9 April produced a gas-and-ash plume that rose 1.5 km above the crater and drifted NE, and ejected incandescent fragments 300 m away onto the E flank. The Alert Level remained at Yellow, Phase Two. Based on satellite images, the Washington VAAC reported that on 6 April an ash plume from Sangay drifted over 35 km NW. 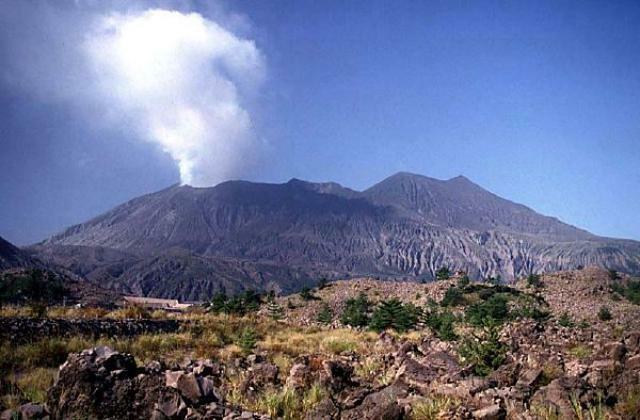 JMA reported that during 4-8 April the seismic network at Aira Caldera’s Sakurajima volcano detected four explosions at Showa Crater, generating ash plumes that rose as high as 3.5 km above the crater rim. One of the explosions, recorded at 1333 on 6 April, produced an ash plume that rose 3.5 km. 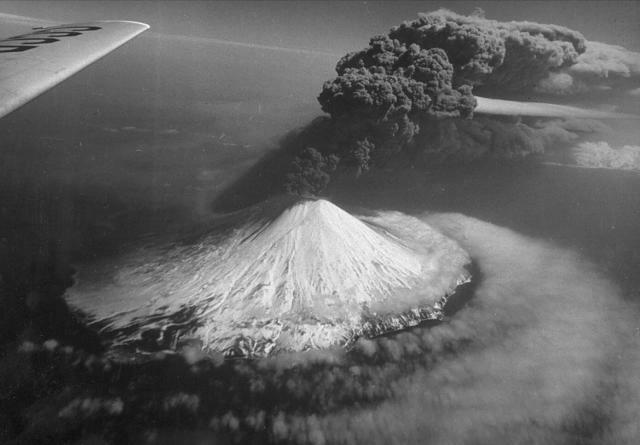 An explosion at 1922 on 8 April generated an ash plume that rose 3.7 km and ejected cinders as far as 1.3 km away. 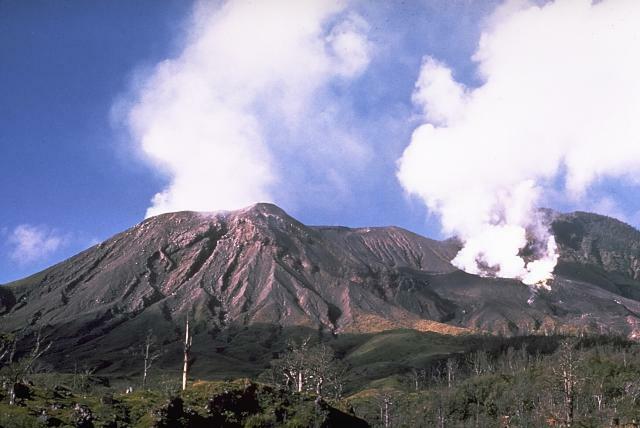 Small-scale explosions occurred at Minamidake summit crater on 5, 6, and 9 April. The Alert Level remained at 3 (on a 5-level scale). KVERT reported that moderate activity at Alaid continued during 1-8 April. 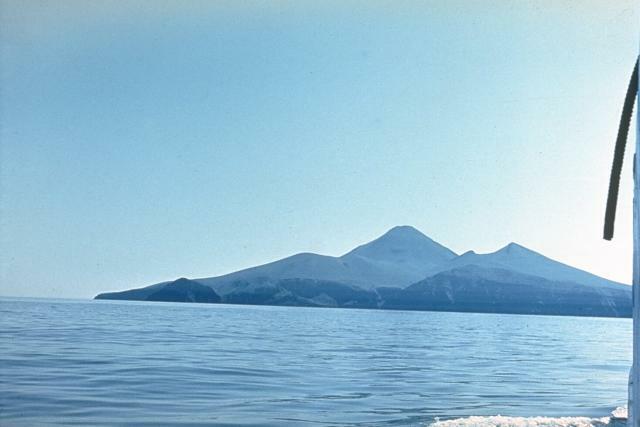 Satellite images showed an intense daily thermal anomaly over the volcano. A gas-and-steam plume containing minor amounts of ash drifted about 40 km SW on 1 April. The Aviation Color Code remained at Orange (the second highest level on a four-color scale). Based on satellite images, wind data, webcam images, and notices from the Mexico City MWO, the Washington VAAC reported that during 6-8 April ash plumes from Colima rose to altitudes of 5.8-6.1 km (19,000-20,000 ft) a.s.l. and drifted NNE and NE. Based on analyses of satellite imagery and wind data, the Darwin VAAC reported that during 6-12 April ash plumes from Dukono rose to altitudes of 2.1-2.7 km (7,000-9,000 ft) a.s.l. and drifted as far as 110 km in multiple directions. 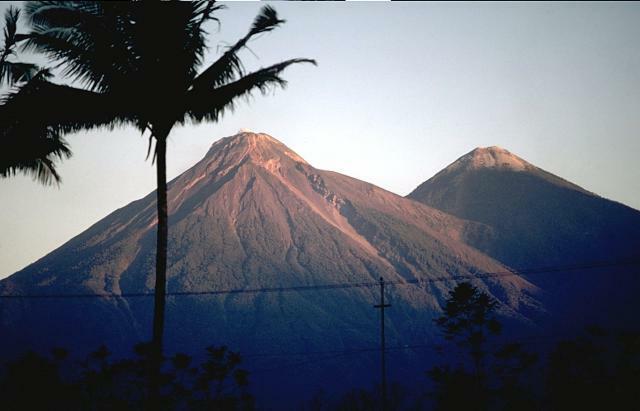 In a special bulletin from 7 April, INSIVUMEH reported that moderate and strong explosions at Fuego generated ash plumes that rose 850-1,050 m and drifted 15 km SW. The explosions were heard in areas as far as 20 km away, and were accompanied by shock waves that vibrated structures within a 12-km radius. Rumbling was heard in Santa Lucia Cotzulmaguapa (20 km SW). Ash fell in local areas including Panimache and Panimache II (8 km SW), Morelia (9 km SW), and Sangre de Cristo (8 km WSW). During 7-8 April gray ash plumes from explosions rose as high as 950 m and drifted 15 km W and SW. Rumbling noises and detectable shock waves continued. 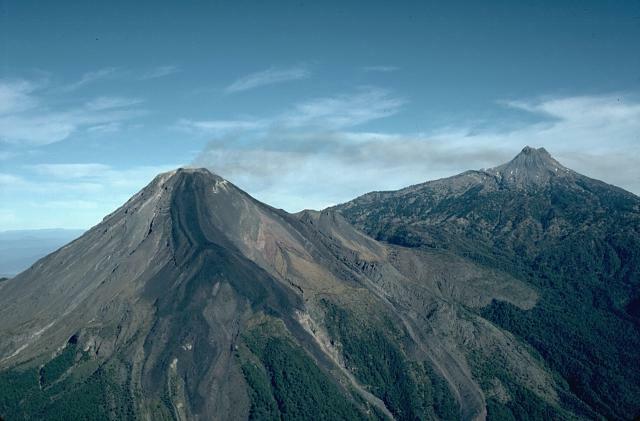 Incandescent material was ejected 250 m high and generated avalanches down the Las Lajas (SE), Trinidad (S), Santa Teresa (W), and Taniluyá (SW) drainages. A high level of activity continued during 9-12 April; five to six explosions per hour were detected during 9-10 April. Dense ash plumes rose over 1 km high and drifted 15 km SW. Ashfall was noted in multiple villages including San Pedro Yepocapa (8 km N), Panimaché, and Sangre de Cristo. Shock waves vibrated structures within 15 km, and rumbling was heard 30 km away. 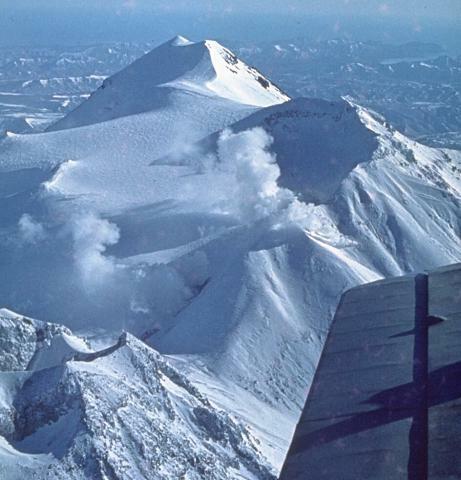 At night block avalanches were seen reaching vegetated areas on the flanks. During 11-12 April incandescent material was ejected 200 m high, causing avalanches down the Las Lajas, Trinidad, Santa Teresa, Taniluyá, and Ceniza (SSW) drainages. KVERT reported that moderate activity at Karymsky continued during 1-8 April. 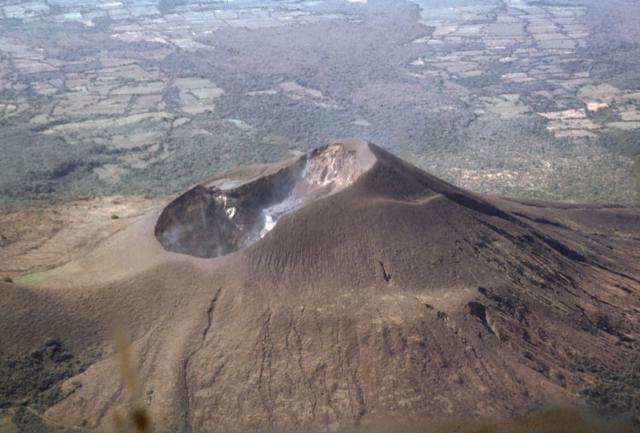 Satellite images showed a weak thermal anomaly over the volcano on 1 and 6 April. The Aviation Color Code remained at Orange. HVO reported that seismicity beneath Kilauea's summit, upper East Rift Zone, and Southwest Rift Zone was at background levels during 6-12 April. The lava lake continued to circulate and spatter in the Overlook vent. 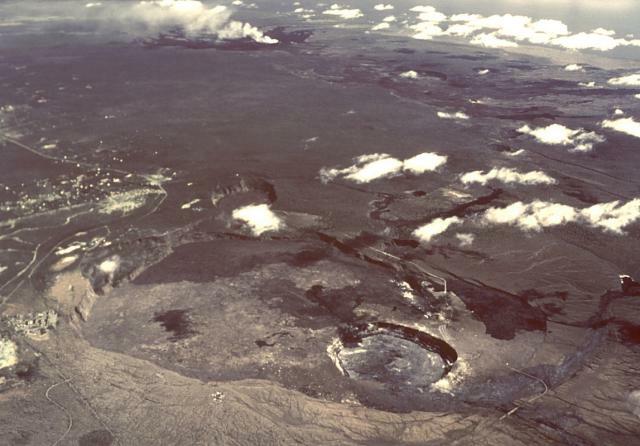 The lava lake dropped during a deflationary event that began on 4 April and, by 7 April, was 52 m below the crater floor, the deepest it has been since 30 December 2015. On 7 April at 0147 a large part of the inner crater wall fell into the lake. The deflationary event lasted for about four days. Webcams recorded outgassing from multiple spatter cones on the Pu'u 'O'o Crater floor. The June 27th NE-trending lava flow continued to be active within 7.6 km NE of Pu'u 'O'o Crater. 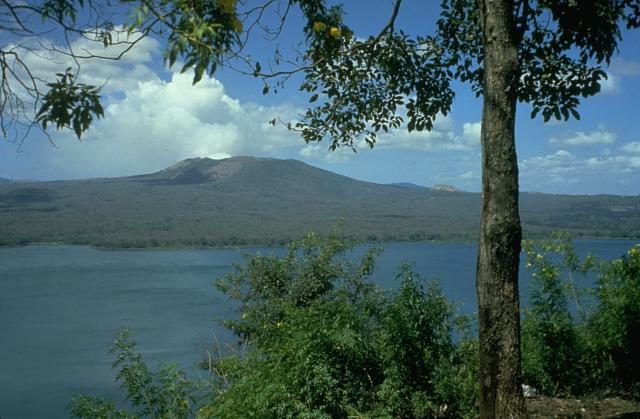 INETER reported that during 6-12 April the lava lake on the floor of Masaya's Santiago crater remained visible. RSAM values were at high levels and gas emissions were low. 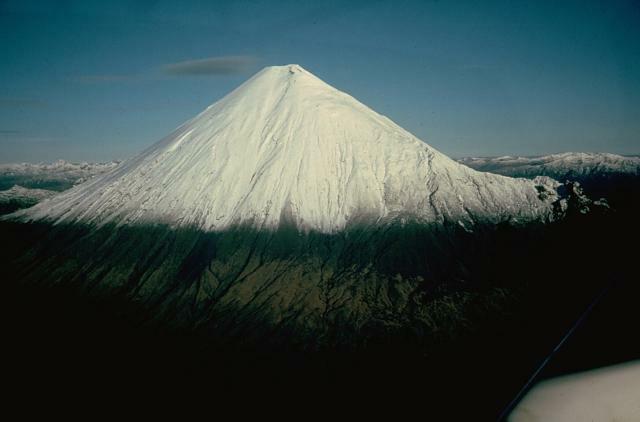 KVERT reported that during 1-8 April lava-dome extrusion onto Sheveluch’s N flank was accompanied by strong fumarolic activity, dome incandescence, ash explosions, and hot avalanches. Satellite images showed an intense daily thermal anomaly over the dome, and an ash plume that drifted 65 km SE on 2 April. The Aviation Color Code remained at Orange. Based on satellite images and information from PVMBG, the Darwin VAAC reported that during 6, 8-10, and 12 April ash plumes from Sinabung rose to altitudes of 3.3-4.8 km (11,000-16,000 ft) a.s.l. and drifted SW, W, and WNW. 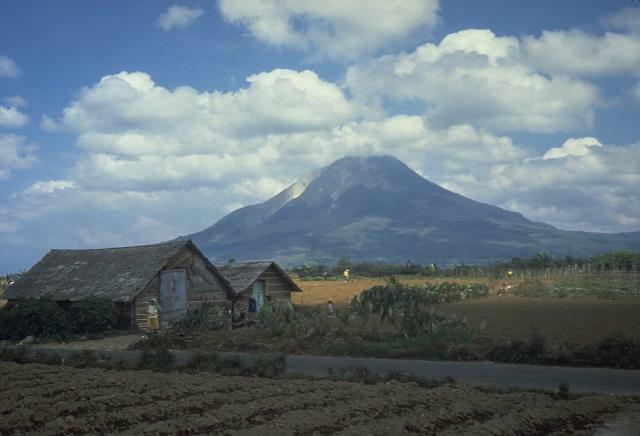 On 10 April BNPB reported that the eruption at Sinabung has not shown any signs of ceasing since the onset of activity in September 2013. 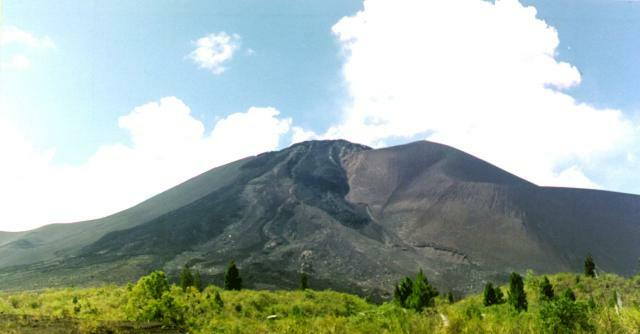 Activity remained high, characterized by almost daily lava extrusion and pyroclastic flows, and high levels of seismicity. Four events on 10 April generated ash plumes that rose as high as 2 km. BNPB noted that although there were no new evacuees that day, 9,322 people (2,592 families) remained in 10 evacuation centers. Many families awaited relocation; 1,212 people had already been permanently relocated to new homes. The Alert Level remained at 4 (on a scale of 1-4); the public was reminded to stay outside of a 3-km radius. 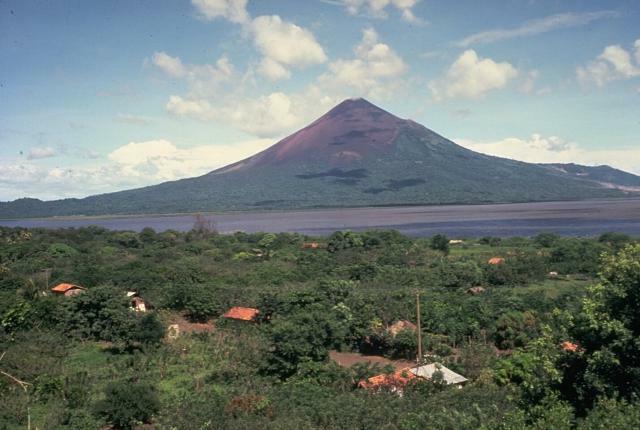 People within 7 km of the volcano in the SSE sector, within 6 km in the ESE sector, and within 4 km in the NNE sector should remain evacuated. INETER reported that during 6-11 April micro-seismicity at Telica remained high and lava in a vent on the crater floor was observed. Gas emissions were at low to moderate levels and RSAM values were low. 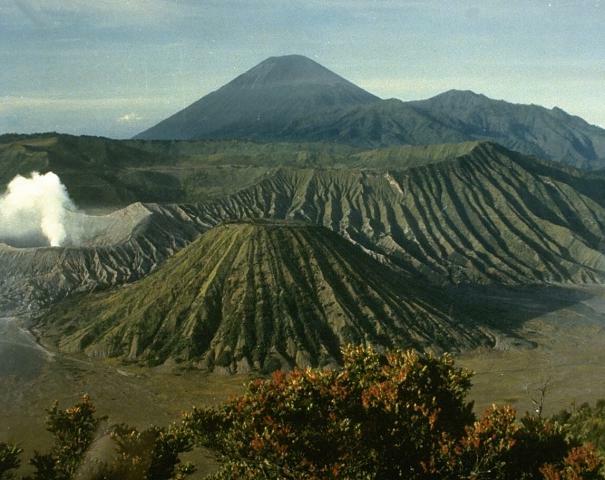 Based on satellite images, wind data, and ground reports from PVMBG, the Darwin VAAC reported that during 6-8 and 10-12 April ash plumes from Tengger Caldera's Bromo cone rose to an altitude of 3 km (10,000 ft) a.s.l. and drifted SW, WSW, and W.
KVERT reported that at Zhupanovsky no activity was observed after an explosion on 24 March. A very weak thermal anomaly was detected over the volcano in satellite images on 1 and 10 April. The Aviation Color Code was lowered to Yellow won 13 April.